The past five or so years saw the rise of six shopping malls, one belonging to the nation’s largest mall operator, new subdivisions, and the construction of SCTEX, a 94-kilometer four-lane expressway north of Manila within and nearby Tarlac City, a predominantly agricultural city situated in the heart of the Province of Tarlac. To reflect these infrastructure and economic developments in its real properties, Tarlac City passed Sanggunian Resolution #262 implementing updated market values for urban lots, agricultural lots, and buildings. Amellar Solutions is privileged to partner with the City as it conducts, for the first time, a computerized general revision of assessments (CGRA) of its more than 110,000 real property units, using its Amellar RPTA© System. The City Mayor, Honorable Gelacio “Ace” Manalang, and Amellar’s Marketing Manager, Rachelle B. Consul, formally signed the Contract for the CGRA on January 24, 2011, followed by a kick off conference on February 8 at the Mayor’s Office. Zaidi Ong, CGRA Project Manager, explained the project coverage and deliverables, steps in the CGRA process, the project timeline, and next implementation activities before officers and staff from the city. On the afternoon of the same day, Amellar staff led a focus group discussion with the CGRA team from the City Assessor’s Office (CAO) where tax map and schedule of fair market values concerns, CGRA organizational structure, documents for mass distribution, among others, were laid out and resolved. After an SFMV analysis and simulation from February 9 to March 1 at its QC office, Amellar went back to Tarlac City on March 2-4 to conduct its first of many Training on the CGRA. Officers and staff from CAO joined in the workshop covering Tax Map and SFMV Analysis and SFMV entry in the Amellar RPTA© System. The entry of SFMV for Tarlac’s 77 barangays is expected to be finished on or before March 31. 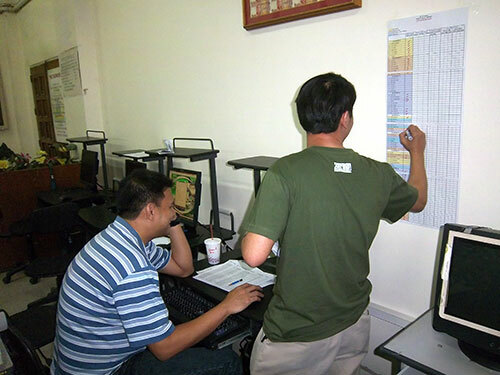 Tarlac CGRA upcoming activities include SFMV quality assurance testing, data cleansing, and running of revision, all pegged to be finished by mid-April. Along with the CGRA, Tarlac City also acquired a one year maintenance agreement for its Amellar RPTA© and BPLS© Systems, further strengthening its revenue generation systems.